The Indian government minister on Wednesday assured to take appropriate measures to check the misuse of the South Asian Free Trade Agreement (SAFTA) by China, which route its exports to India through South Asian countries thus harming the local industry. While interacting with local entrepreneurs from Ludhiana city, K.H. Muniyappa, the union minister for micro, medium, and small enterprises said that he was seized of the matter concerning the industry in Ludhiana and understood as how SAFTA was being misused by countries like China. “SAFTA is a death trap for the Ludhiana industry. Rather than helping in creating better coordination between the South Asian countries, it is being misused by countries like China. It is not only causing loss to the industry, but also the government due to evasion of customs duty and other taxes,” Badish Jindal, national president of Federation of Associations of Small Industries of India, told the Times of India (TOI). Muniyappa regretted that instead of Ludhiana industry exporting to other countries, as it had all the potential, things were being imported. He recalled, long back in early sixties, his freedom fighter father had gifted him a Ludhiana manufactured bicycle for going to the school. The union minister asked the Ludhiana industry to prepare a comprehensive draft in consultation with the union information and broadcasting minister, Manish Tewari. “Let the state government submit a complete proposal and plan and he will ensure it is approved within one month,” Muniyappa said. While Tewari said that the current interaction had been organized at the behest of Prime Minister Dr. Manmohan Singh, who is concerned about the plight of small and medium enterprises. 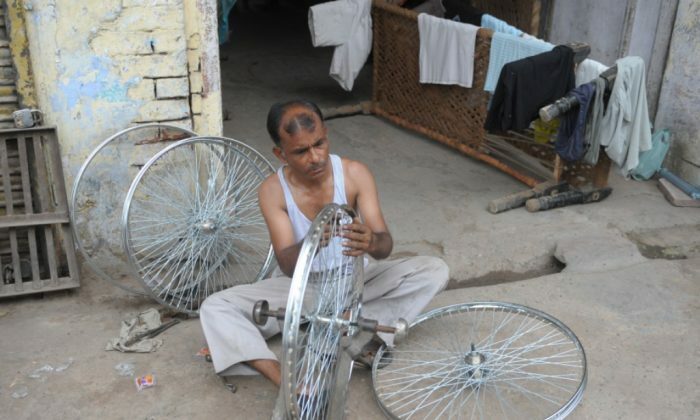 He also called for granting exemption from central excise duty to cycle and other light engineering manufacturers. Majority of entrepreneurs consider misuse of SAFTA is inflicting a potential damage on the local industry and bringing it to the back foot. The local Indian industry can emerge out of the crisis with the government’s support at a timely manner. “In the modern and liberalized economy we can’t live in isolation, but at the same time it was necessary and important that measures were taken to safeguard the interests of the local industry, particularly the small and medium enterprises,” Tewari said.